Ambient, chillout, psybient, psychadelic and downbeat. 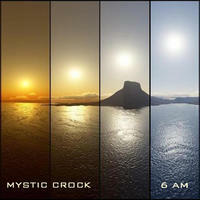 6am - the fourth album released by Mystic Crock - is designed as a remix album. Mystic Crock made a selection of his older tracks and remixed and remastered them in a fresh, new and uplifting style. The sole exception is the track 'Walking On A Rainbow', which is a remix of a former song of Barks and Crock. To round the album off it ends with a great remix from Dense of 'Luna's Walk'. License Ambient, chillout, psybient, psychadelic and downbeat by Mystic Crock for your project. 크레이지슬롯 사이트Play the music of Mystic Crock in your restaurant or store.